John Wrazej is a mysterious man. He, like many we admire, has covered every corner of the menswear world over the past five years. 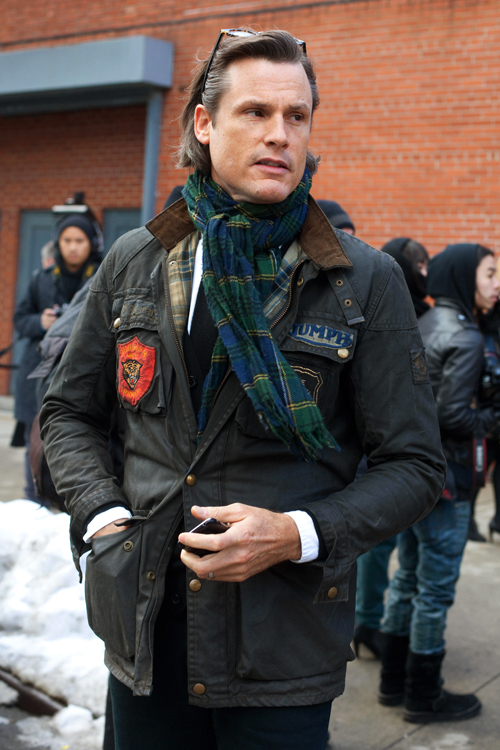 I’m not sure if Scott Schuman (The Sartorialist) discovered and first photographed him, but since he’s been sought out after each Ralph Lauren show by all kinds of bloggers. He’s not on twitter, tumblr, or instagram. I find it enlightening that he shows such a high respect for who he is as a man. His clothes speak to him and as readers we are able to see his work on its natural canvas. He’s not following trends, listening to critics, or changing the person he is. In today’s fast paced world, it’s hard not to get caught up in the ever-changing world of fashion and technology. No gym shoes, sweatpants, or look-inspired-by-a-website outfit. His coordination is impeccable and attention to detail is keen. When asked who my “style icon”- it would be Mr. Wrazej.